Emma Parker is pregnant with Harry Styles' baby, but after a big fight, will he ever even know it? In which Harry Styles has son he's never met, named George. Selena Jade Tomlinson is the little sister of world famous Louis Tomlinson. What Louis doesn't know, is that Selena has secretly been having a relationship with his band mate, Harry. Selena and Harry are both crazy in love with each other, but what happens when a wild night causes a little of trouble and they're forced to tell everyone about them? 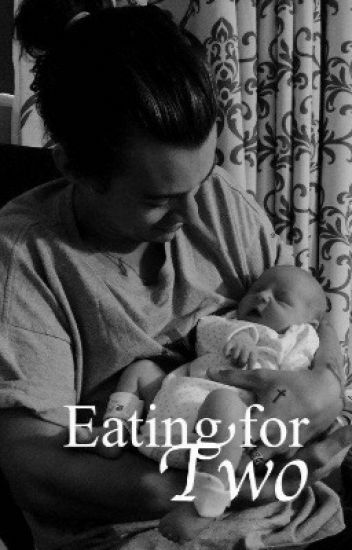 This is the continuation of Baby Styles and Everything Has Changed, mainly told in Layla's point of view. Layla and Edward are now almost 18 years old, Jennie is 8, and Christopher is 4. If you have not read Baby Styles or Everything Has Changed yet, I recommend you read them first. After Harry Styles donated his heart to his loving wife, things got hard. One Direction split up as soon as they hear the news, the movie got cancelled, and the fans were devastated. But, it was even harder for Leah and sweet little Darcy. And things are about to get even harder. She was gorgeous green eyes and curly locks just like her father. Her name... Darcy May Joy. A short story set two years after the events of Ours. IMPORTANT: Please read Ours first otherwise this won't make sense! It's been 12 years since Selena took the twins with her and left Harry. He changed, and Selena wasn't gonna take it. She didn't want her precious, little kids to be around him. Especially not after he hit her, right in front of the twins. The twins are now 14 years old, but what happens when their father returns? This was our creation. Our baby. He was adorable and he was ours, but the other half of him wasn't here. Wasn't in the picture and I know my son wants his other half. He wants him here, but I don't know how to make that happen. When Providence Rhodes lost her relationship with long time boyfriend Harry leaves her pregnant and alone for another girl Providence is heartbroken. But after a year and a half Harry is back and wants his son and his love back but will Providence let him back in?